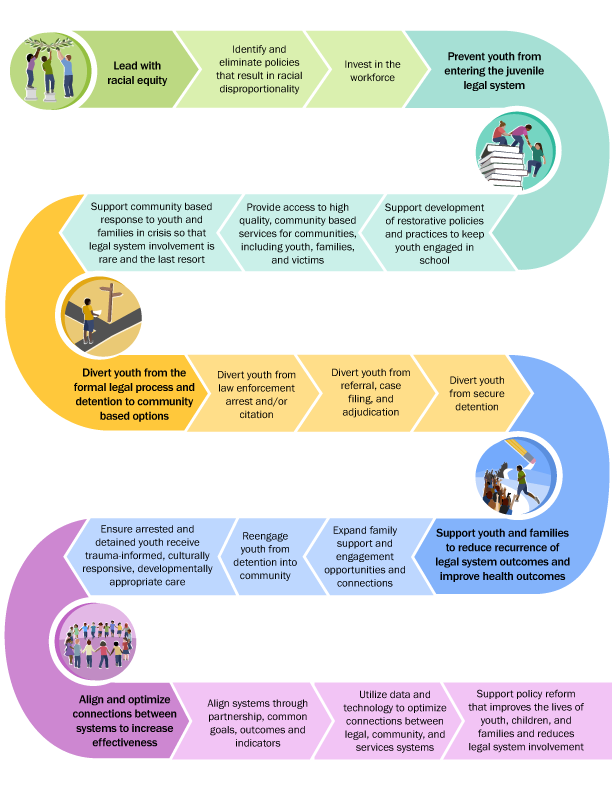 A visual representation of King County’s Road Map to Zero Youth Detention. Today marks the release of the Road Map to Zero Youth Detention, King County’s strategic plan to not only further reduce the use of secure detention for youth, but to launch this County on a journey to eliminate it. To explore the Road Map and its components, read Zero Youth Detention’s new blog series: Diving into the Road Map.